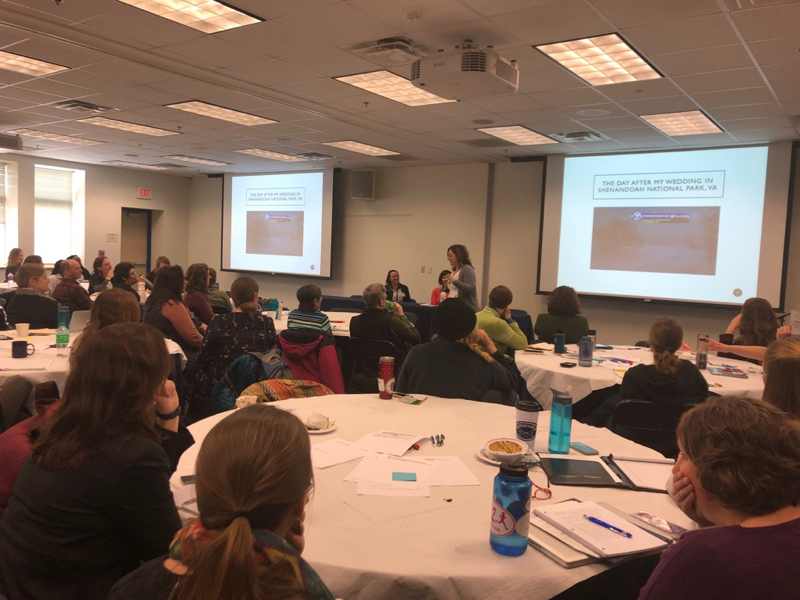 Our 2019 Research Symposium and Annual Conference was AMAZING! Whether you were able to join us or not you can still access the materials from the workshops by CLICKING HERE! 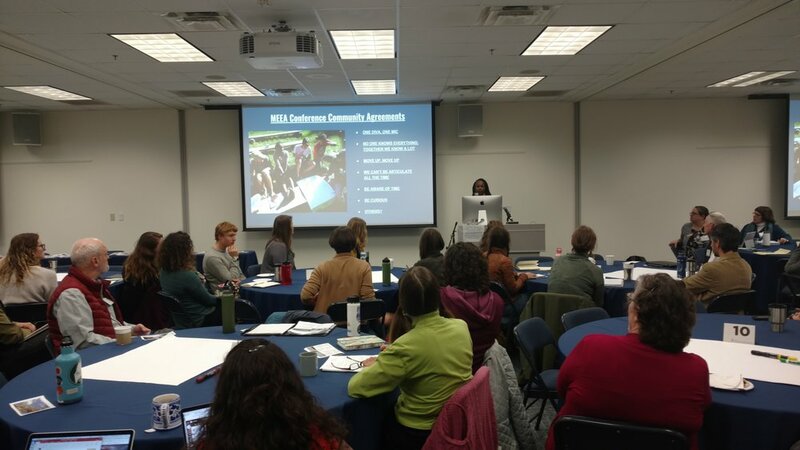 Join us at MEEA's Annual Conference as we explore ways to leverage environmental education to make change happen in Maine's communities. Enjoy camaraderie, strengthen your networks, build hope, and leave with new ideas to propel your critical work forward in 2019! Climate Change Education Research Panel: This panel will focus on research and evaluation around best practices and strategies for implementing climate change education for youth and adults. Panelists will discuss research around effective communication of the topic of climate change, how to change opinions about climate change, and how to support individuals to take action. 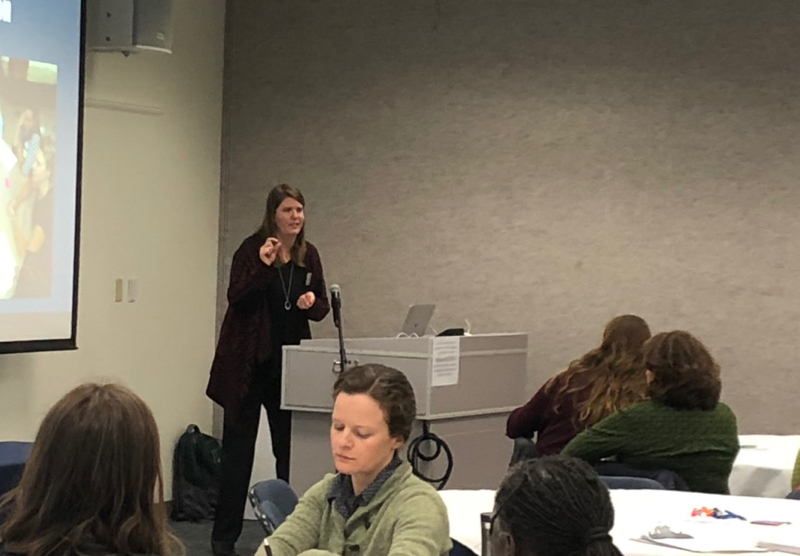 Environmental Behavior Change Research Panel: This panel will focus on research and evaluation around youth and adult outcomes after participating in environmental education programs. Panelists will discuss outcomes from environmental education programs including intended personal actions and likeliness to follow-through with those actions. 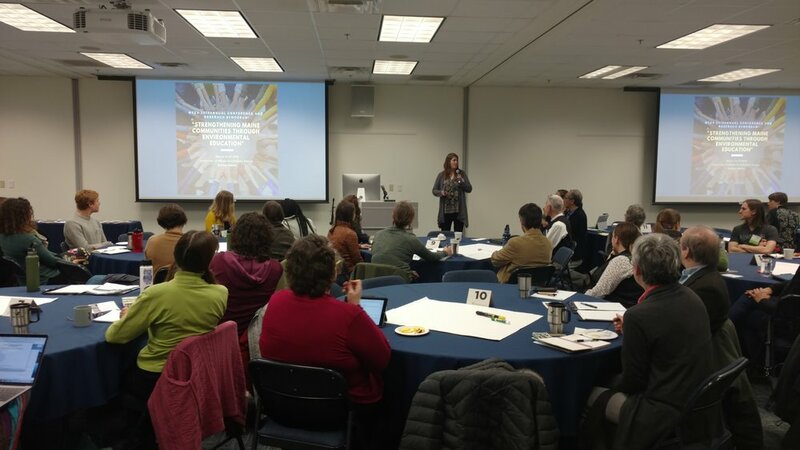 Citizen Science and Technology - How can educators use crowd-sourced data collection, information and communications technology in programming as a tool for change? Green Leadership - What skills do you need to be a more effective community-based environmental Changemaker? Connecting With Nature - What education strategies do you use that help Mainers connect to nature? 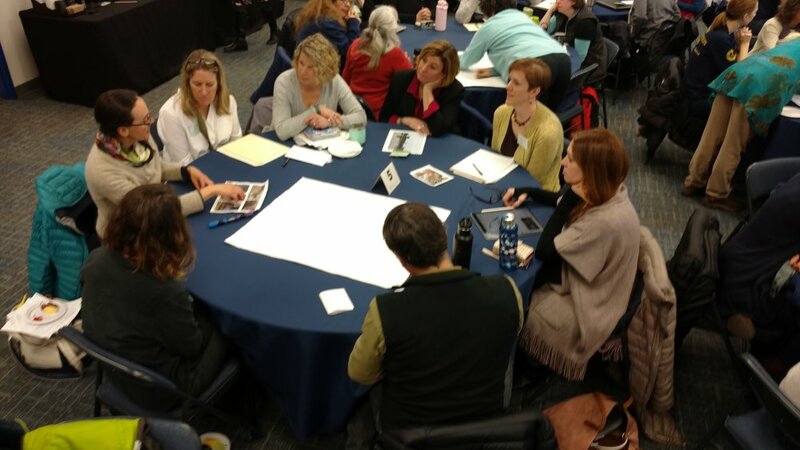 Better Together: Partnerships That Accelerate Impact - How can two or more organizations, schools, or individuals collaborate to more effectively engage community members in environmental learning? ...and many other topics that help to strenghten environmental education in Maine. 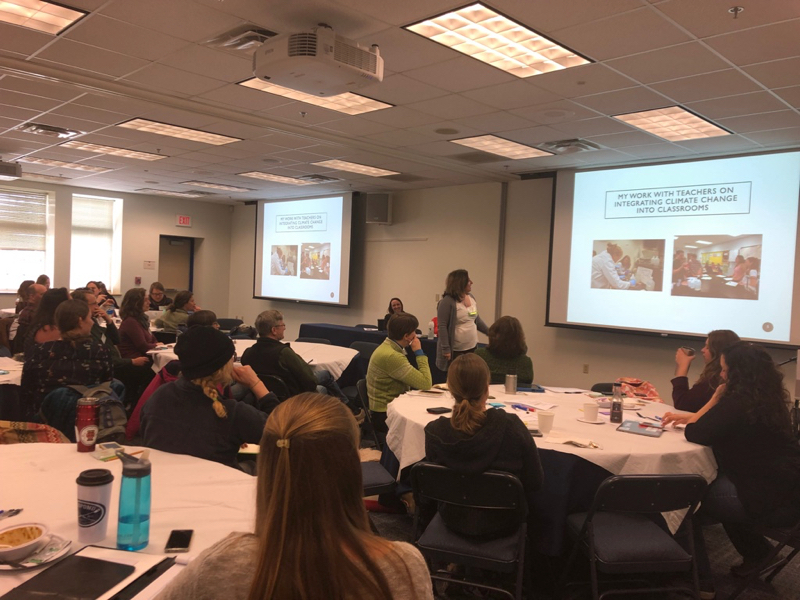 The MEEA Conference was held on April 28, 8:45am-4:00pm at Colby College, Waterville, Maine. 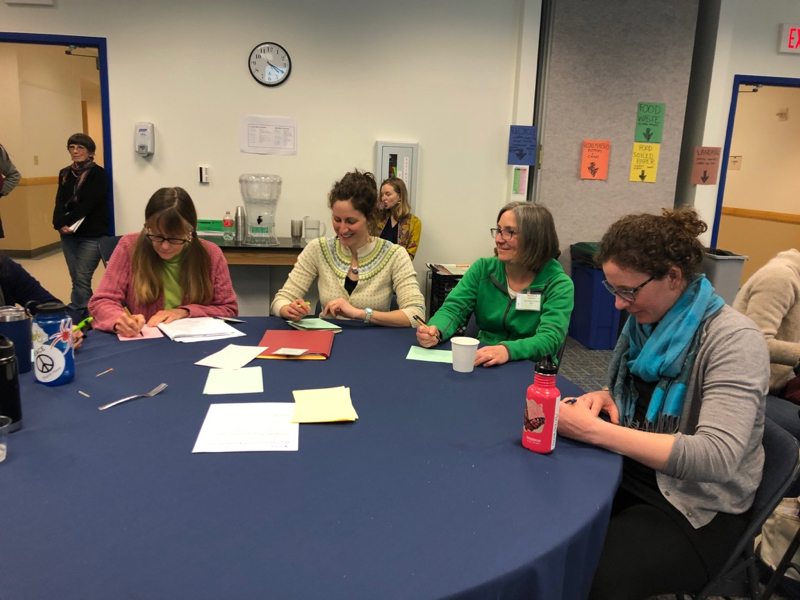 A day and a half of presentations, activities, and keynote tackled questions about cultivating a culture of science and environmental education. How can we as environmental educators bolster society's appreciation and support for science? 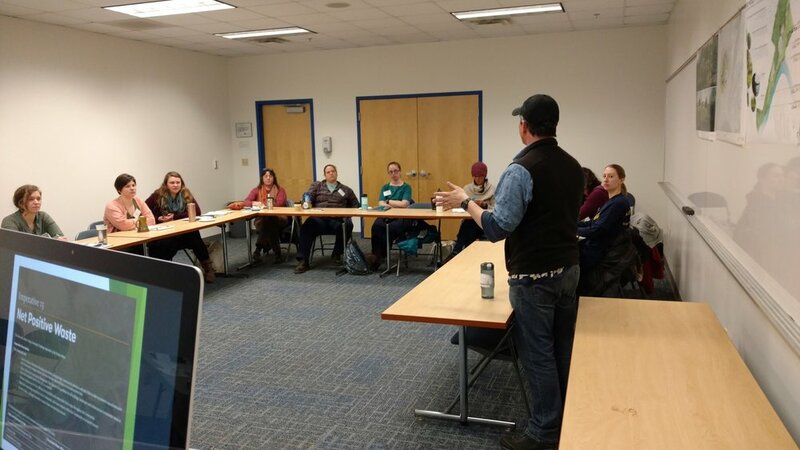 What is environmental education's role in strengthening Maine through a robust foundation of science and scientific knowledge? 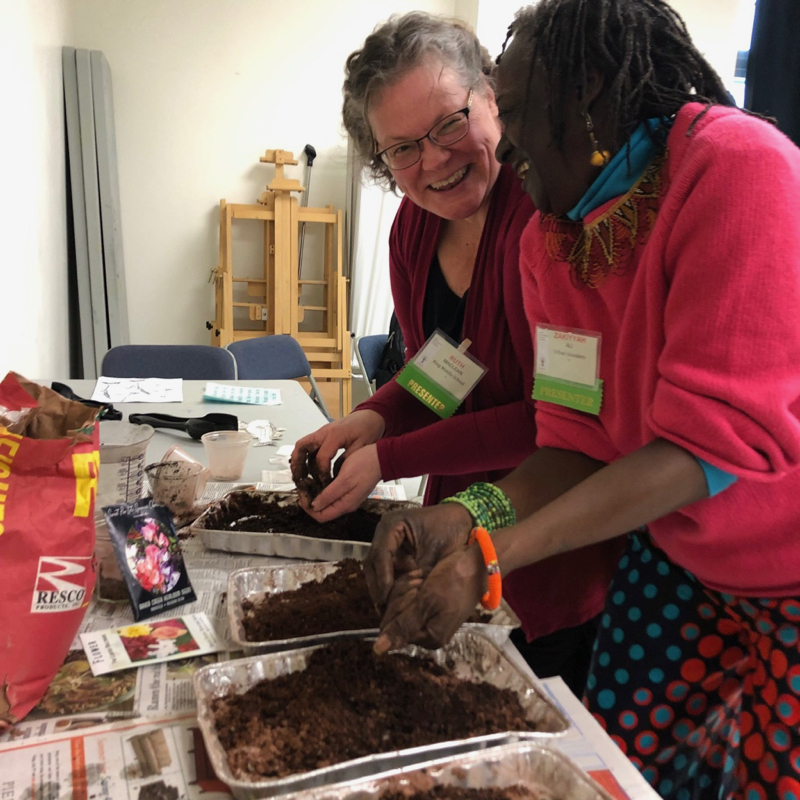 Weaving Science and Society: Using environmental education to help science infuse into society; achieving long-term attitude and behavior change, engaging diverse communities, increasing civic engagement. 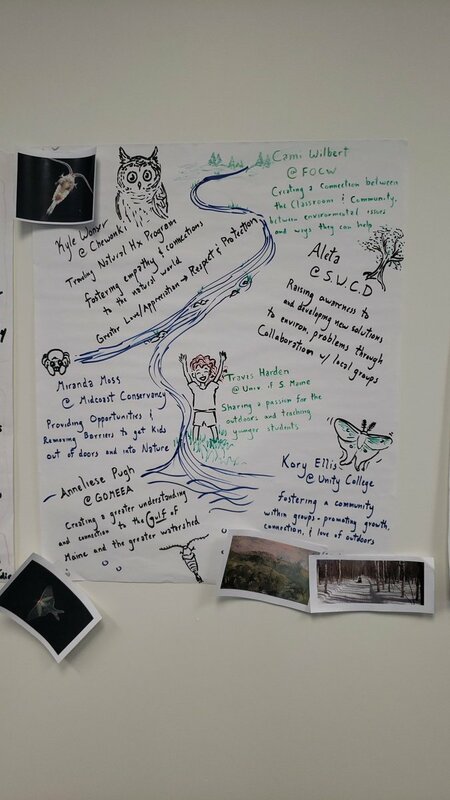 Leading for a Greener Tomorrow : Collaborative leadership skills, intergenerational leadership models and/or youth-led community environmental actions; creating a more engaging environment for learners at all levels of outdoor and environmental education. 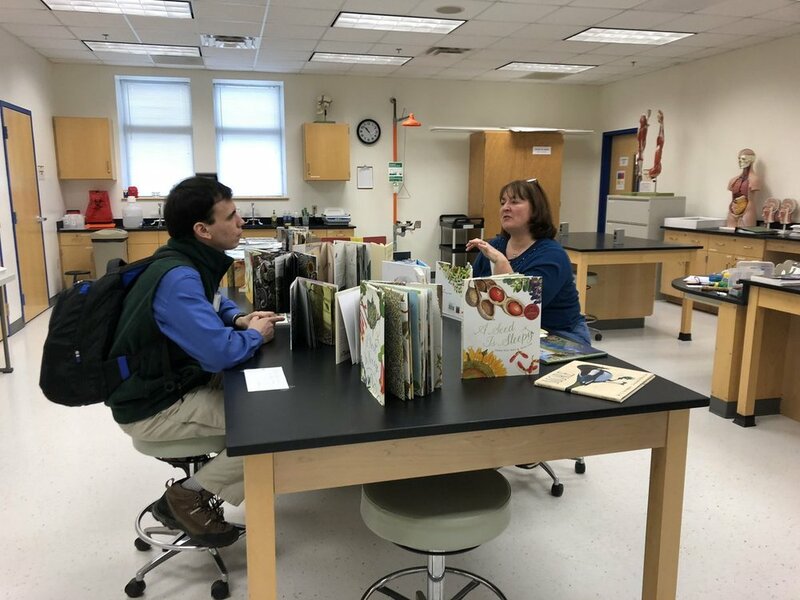 Connecting with Nature: Integrating outdoor and environmental education into formal education and informal programs. Integrating Technology: How can information and communications technology can be used in programming as a tool for change. Linda Silka, Senior Fellow at the Senator George J. Mitchell Center for Sustainability Solutions. 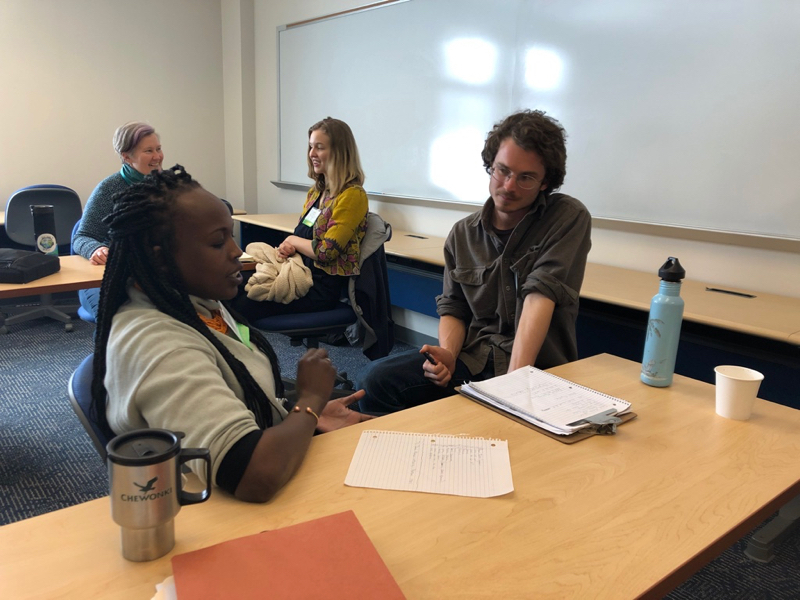 A social and community psychologist by training, Linda has several decades of experience in leading community-university research partnerships on environmental, economic development, and environmental health issues. She has written extensively on the challenges and opportunities of building partnerships with diverse stakeholders and has consulted internationally on how to build community-university research partnerships.